Look no further, contact us today! Check out our services & support packages. North Lincolnshire’s fastest growing IT Specialists, offering the largest range of business IT solutions for all types of businesses, this includes VoIP Phones, Cloud Solutions, Business Support, Hosting and Broadband. Putting all your IT needs under one roof. 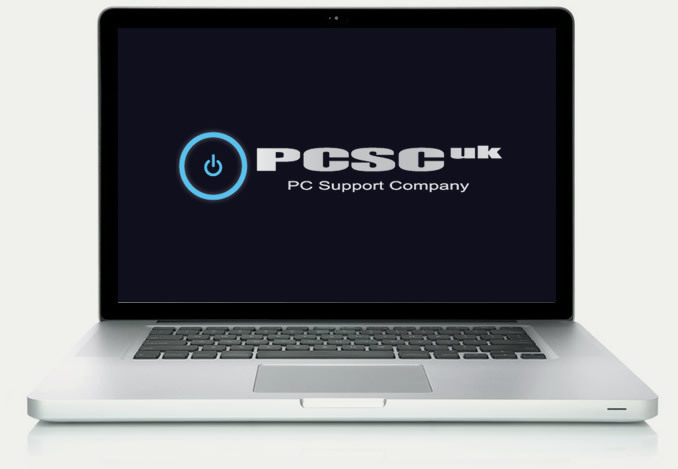 From Support Packages, Virus Removals, Computer Repairs to Phone Repairs, at PCSCuk we can provide the solution you need! We have a fully equipped workshop to cater for all PC repairs from simple virus removal to complete system rebuild. Simply an off site server that can be used for running SQL Databases or CRM software, that you can access from your computer systems. The benefits are endless. Your Desktop anywhere, any time. With Cloud Computing have hosted desktop, exchange & server with shared storage and backup. From a single point, to an office building, we can provide the professional services and resources you need. Hosted exchange also gives you the ability to share mailboxes, calendars and contacts with other members of your business giving you a full email solution. A hosted desktop gives you the freedom to work from anywhere using your files and programs, from any desktop to any modern mobile devices. Low cost way of sharing information between your work place, with the added benefits of being able to share with mobile devices. With the 24 x 7 x 365 Cloud Care Monitoring System we can monitor and manage anything with an IP address, it will alert us before or as the problem occurs. Hosting designed for all types of businesses, up-to-date security protocols, giving you peace of mind your website is safe and secure. With Cloud Backup not only does it give you peace of mind but also gives you a disaster recovery plan. We offer bespoke agreements tailor made to suit your company´s needs. Having all your IT requirements under one roof is one phone call away. Fast, stable and wide network to offer speeds up to 25 Mbps download and 10 Mbps upload which is far better than most ADSL connections. PC Support Company opened in 2012 by two highly qualified and experienced technical engineers with over 25 years combined experience within the IT industry. Over the past years we have expanded our product range, staff and office space by over 3 x which puts us as one of Lincolnshire’s fastest growing Business I.T. companies. We class ourselves as a solution based company providing customers solutions and support for their I.T. needs, making sure there investment in there I.T. is worth every penny. We always make sure we are fully up to date with technology so to offer the best possible solution and best value for money outcome. The range of services and products we offer are one of the largest in the area from consumable supplies to full project managed multi-site networks. PCSCuk have recently opened a sister company under the PCSCuk umbrella that specialise in all data communications from data and phone cabling to VoIP and broadband supply and install, we offer very competitive rates and our products are hand picked by ourselves from the UK’s best products and providers, visit www.uk-comms.com for more information. Recently we have expanded our services and now cover nationwide for all our services so no matter where your located in the UK we are always here for you. The guys and girls at PC Support Company are just the best. Cost effective, efficient, professional and technical, oh and to top it off they are friendly too. If you user IT in any way shape or form then you need to employ this company. They are 5*! Daniel HowittCompany Manager - Ken Wood and Sons Construction Ltd.
Demeter House School has been using PC Support Co. for the last year for our ICT support and we cannot fault them. They are a brilliant team, very knowledgeable, friendly and helpful. They have totally overhauled and streamlined our system and it works far quicker and more efficiently than ever before. With previous companies, we were making weekly, if not daily phone calls to sort out issues and were having to wait days or even weeks for a response but Caton and Dan have shown us how to do the basics so we can support ourselves as well as making sure they fix any bigger issues as quickly as possible, which is very important to us as a school. We would recommend PC Support Co. to anyone needing ICT support as we have been more than happy with the service they have given us so far and it has been nice to watch their business grow along with ours. We wish them every success for the future and hope they continue to thrive and support businesses like ours. Reliable efficient service from people who care about their customers. Having lunched Diamond-Net in August 2012, I turned to PC Support Company for their technical knowledge and ability to help with our installations. I was extremely impressed with their down to earth, yet reassuring, approach to their work. It gave me confidence in their ability and comfort in knowing that they would maintain the first class service that they offer to everyone of their customers, to ours. Over the past 13 months, Caton and Dan have helped support diamond-net in its growth and have provided both a quick and professional service which has led us to offering them a permanent position as our Helpdesk Support. I would have no hesitation in recommending PC Support Co. to any of my customers, friends or family and have no doubt that their recent expansion into new premises and the new products they are to launch will be a huge success over the coming months. Well done guys, all the best for the future. I have known Caton for over 10 years and cannot recommend PC Support enough. I have experience of many IT companies and PC Support are not like any I have come across before. PC Support are excellent value for money, prompt with emergency call outs, enthusiastic and have provided many services to me including broadband and back-ups. They look after my five branches and 30 computers.